Drupal is an open-source web development platform. Some of the busiest websites on the Internet use it, and it has a myriad variety of applications, being adaptable to any virtual design. As a platform for website development, it is unmatched in its category. If you are looking to build a university website, Drupal offers unmatched responsive drupal themes that are clean and modern. 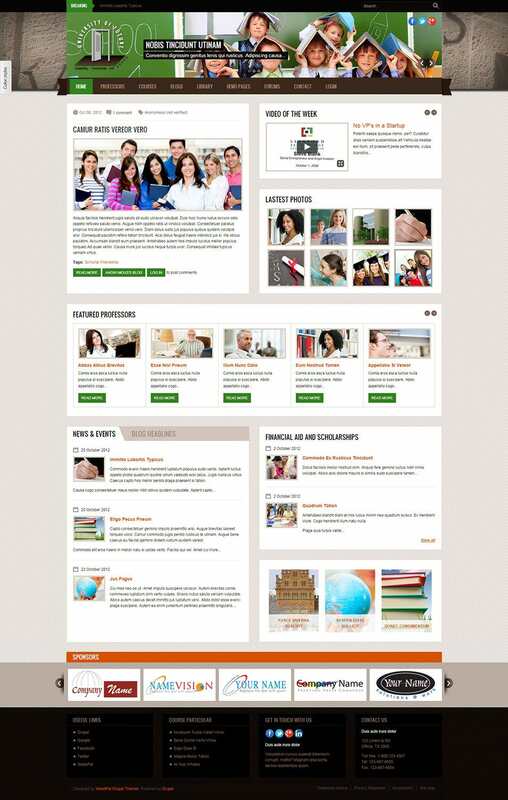 Endowed with a contemporary design, use this template to create an interactive and user friendly university website. It supports high definition images and has a responsive design that gives it a remarkable appearance on all devices. The three column layout enables you to share more content on the home page. The capsule search box and drop down menus ease up the navigation. Created in HTML, this Drupal 7 template comes with social media widgets and easy customization features. The dark blue background of this Drupal template gives it a very distinctive look. The amazing slider on the home page supports high resolution images that are sure to give the website an attractive look. 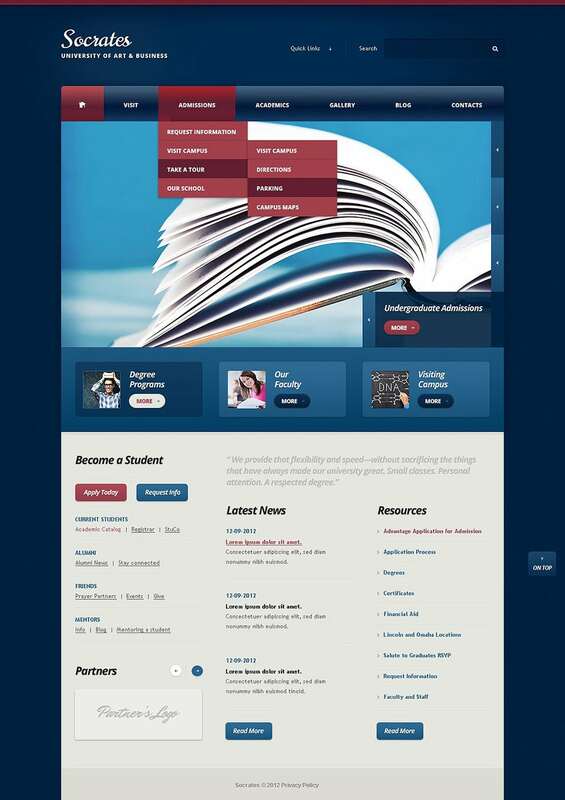 The drop down menu support allows you to create an elaborate university website. The powerful admin panel and number of customization options ensure easy editing of the template. Compatible with all internet browsers, this template is SEO optimized, which is definitely an added advantage. Created in HTML5/CSS3, this Drupal 7 template has a very creative and unique design and is perfect to design your university website or blog. With a wide range of background skins, color schemes and font styles to choose from, customize the template to suit your preference and requirement. Built on Omega 3 Framework, this has a fully responsive design. It supports Mega Menu that is sure to offer a user friendly interface. The clean and minimal design of this template with an uncluttered layout would definitely add charm to your University website or blog. It supports various appearance forms for the content like slideshow, carousel, quicktab, accordion etc. This template with its responsive design offers impressive user interface as it supports features like comments, article posts, forms etc. A perfect template for educational and University websites, this has been designed on Bootstrap Grid and supports content scroller, tabs and YouTube videos. With a wide range of customer forms in place like contact form, newsletter form, comment form etc, designing a user friendly website is made easy. It supports Mega menu that enhances the navigation process for the users. The Drupal template is compatible with most of the browsers and has a responsive design. Use this Drupal 6 template to create a university blog. It supports drop down menu and side bars that enables you to arrange the content in a very organized manner in the blog. The capsule search box and side bars further enhance the navigation process for the users. The template supports all types of custom forms and thus offers impressive user interface. Whether you are thinking of creating a university blog or are planning to create university forum, this Drupal 7 template would be the right choice for you. With its coding being done in JQuery, making changes and customizing the template is easy. Side bars and drop down menu support ensures quick navigation for the users. Social media widgets are built into the template and thus ensure easy integration to the social networks. This Drupal 7 template has a unique layout design what with gradients, regions and blocks having been properly marked for content. Thus, diversifying the content in the layout is quite easy. Use this to start an educational blog or a university website. The minimal design gives it a modern look and the clean layout ensures premium user interface. You can pack many different types of content into the unlimited pages that Best Drupal themes for universities allow you to add. 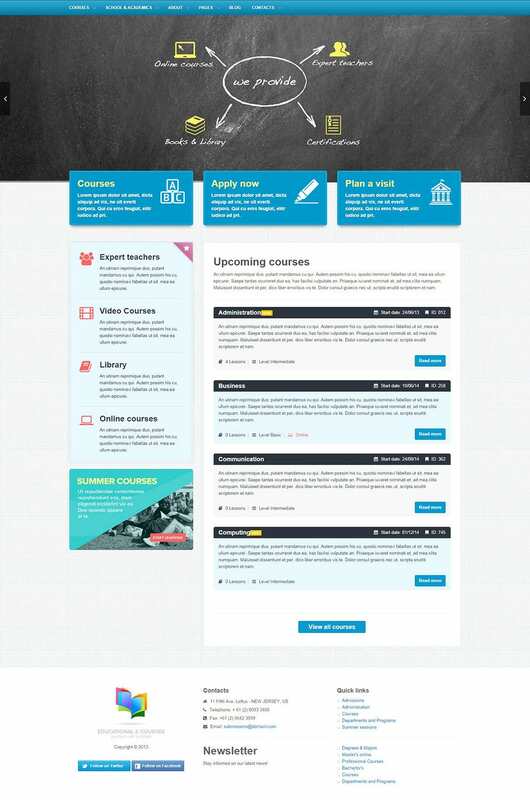 Create pages, Taxonomy forms, and format image styles, modify and create content types for the best theme for your university. The best themes will include embedded interactive content, like chat options for help. This is especially useful in case your institution has many foreign students coming in who need specialized help. Another exciting aspect would be the ability to embed multimedia into the pages, which really enhances the all-round experience. This would mean that mini-classes could be made available online, or crash courses on whatever has already been taught. Your university could reach out to the public with a series of these with content pulled from YouTube. Social media integration is easily achieved through the best of Top Drupal templates. Clean fonts make legibility easier, which means reaching out to a wider number of people. University websites should have a minimalistic, but solid look with understated contrast in colors. 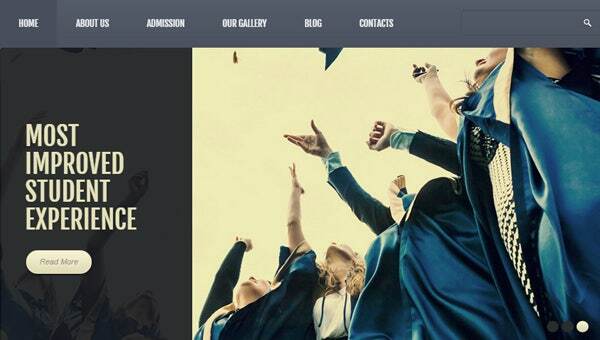 Free Drupal themes for universities help you achieve the look you desire with the least amount of fuss. With all service organizations opening shop on the internet, it is inevitable that universities also go digital. Creating an interactive website or an interesting blog ensures that you can reach to maximum number of people. 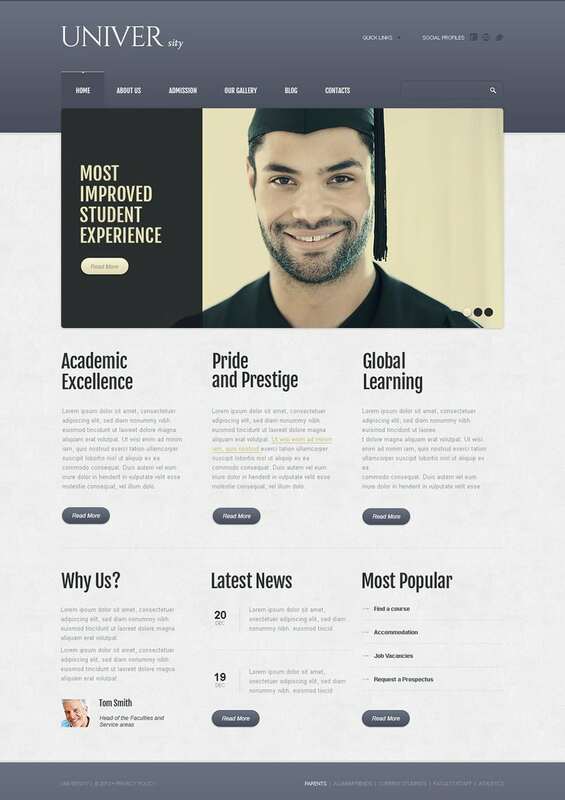 In case, you want to design your website without external help, go ahead and check out the wide range of Durpal university templates. Designed by professionals, these comprise of all the important features that would come in handy to create a user friendly web page.